1 day: Arrival in Moscow. Accomodation in a hotel 3 or 4 stars. Free time. 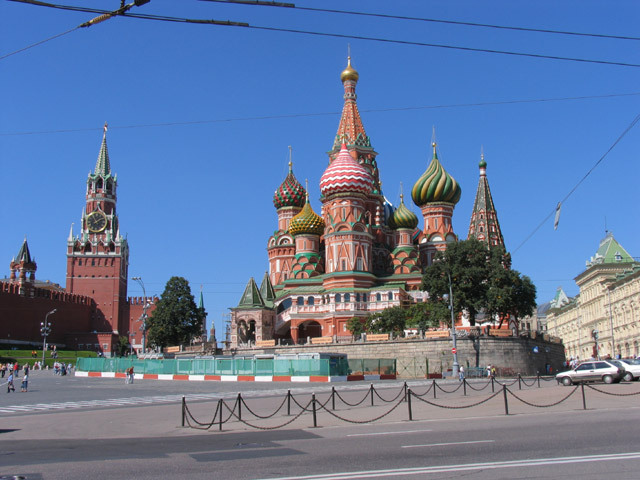 Moscow is the largest city (population 10.1 million) and is the capital of the Federation. Moscow continues to be the center of Russian Government and is increasingly important as an economic and business center. Its cultural tradition is rich, and there are many museums devoted to art, literature, music, dance, history, and science. It has hundreds of churches and dozens of notable cathedrals; it has become Russia's principal magnet for foreign investment and business presence. 2 day: Breakfast. Tour of Moscow: Red Square, Kremlin and Uspenski sobor, Novodevichi monastery and Smolenski sobor, Pushkin Museum, Manege Shopping Center. In the evening - free time with optional cruise on Moscow river (possible between May and September). 3 day: Breakfast. Temple of Christ Saver created in honor of the victry of Russian army against Napoleon, Russian State Library, Historical museum. In the evening - optional visit of Bolshoy theatre.